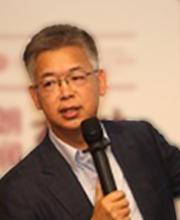 Yiping Huang is currently Professor of Economics at the National School of Development, Peking University. Currently he also serves as a member of the People's Bank of China's Monetary Policy Committee, and a member of both the China Finance 40 Forum and China Economist 50 Forum. He was previously Managing Director and Chief Asia Economist for Citigroup based in Hong Kong, Director of the China Economy Program at the Australian National University in Canberra and policy analyst at the Research Center for Rural Development of the State Council in Beijing.